Track rainfall amounts at multiple locations and quickly react by managing people and equipment. 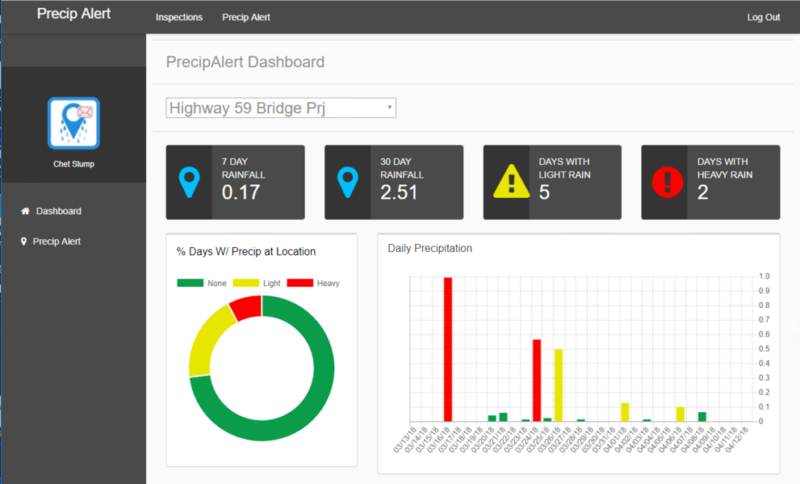 The PrecipAlert Dashboard provides a comprehensive overview of each of your work sites precipitation for the last 30 days. By monitoring the dashboard you can analyse your work site conditions and manage people and equipment maximizing resource positioning and utilization. Keep your work site running smoothly and be alerted to conditions that can disrupt or delay your projects.